Mrs. Bessie Coleman, age 85, passed away Friday February 8th at Hertiage Inn & Rehabilitation Center after an extended illness. 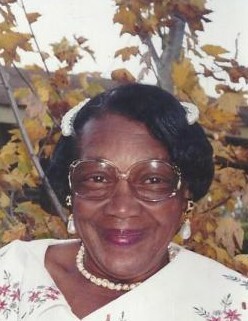 She was a native of Douglas, Ga., but resided in Bulloch County. She was a member of Mount Sinai Baptist Church in Douglas, Ga.
She is survived by her loving caregiver and niece Mrs. Dorothy (Henry) McCutchin of Statesboro, Ga., and Mrs. Rose (Fred) Crawford of McRae, Ga.; a host of nieces, nephews, and a host of other relatives and friends. Home Going Celebration for Mrs. Bessie Coleman will be held Saturday February 16, 2019 at 12:30pm at the Corinth CME Church, 26 Andrew St., McRae, Ga., with the Pastor Marvin Howard, Officiating. Interment will be held in the Centella Cemetery, 28 Centella Road, Helena, Ga.
Mrs. Bessie Coleman will lie-in-state from 11am until funeral hour. There will be no viewing after eulogy.